Hello there thank you for taking the time to learn more about my lawn mowing business in Bellevue Tennessee. If you were looking for a reliable, and downright friendly lawn cutting company that mows yards in the Bellevue and Fairview areas then look no further you have found it. I pride myself in creating some of the most beautiful lawns in the Harpeth Valley area. I have been cutting grass all over Davidson County for 10 years now and treat my Bellevue customers as my bread-and-butter. I currently have over 45 lawns in the Bellevue area and the good news for you is I'm looking to take on more yards to mow on a weekly or every two week basis. If that sounds good to you, go ahead and just sign up for free prices for lawn cutting prices right here on GreenPal and you'll get a free mowing quote from me. Including that lawn care quote will be cutting your grass, blowing off the clippings, and edging the driveways and also trimming the grass around any trees, playsets, or any other yard gnomes that you have in your grass. We don't rush through the yards that we cut like other lawn care services in the Bellevue area do. I watch them cut grass it's almost like they are on a race against time to cut their customer lawns as fast as I can. Also , if you want lawn care services in Murfreesboro TN we service go there also go up and do lawn cutting in Antioch TN. My lawn maintenance company specializes in lawn care service, yard maintenance and turf care. If you're looking for a basic lawn mowing company I may not be the best fit as my specialties are more towards the higher end of landscape maintenance. My company is based out of Nashville but we service the Bellevue area as it's only about 15 minutes down I 40 from where our offices so if. So if you live in the Bellevue or Fairview, TN areas we can offer you weekly yard maintenance packages starting at $40 per lawn cut. We are usually in the Fairview area on Thursdays of every week and in the Bellevue area on Mondays of every week. So long as you're fine with us cutting your grass on one of those days we would be happy to accommodate your yard maintenance needs. If you're looking for just a one time lawn cutting unfortunately we do not offer just one time yard cuts. Sure we will mow your lawn one time so you can get a sense for how we operate our lawn care service in Bellevue however that is with the understanding that it is a audition to earn your lawn maintenance business for the rest of the lawn care season. You've probably seen my trucks running up and down Poplar Creek Rd and Old Hickory Boulevard in Bellevue so you know there is no problem for us to go over and furnish your lawn maintenance needs as well. After we get done cutting your grass we will submit to you my proposal for full yard maintenance care including your shrubs, your weeds, your mulch, and any other yard services that we may see that your yard might need help with. We will not be the cheapest lawn care service that you can hire in Bellevue Tennessee however we will be the most reliable lawn maintenance service nearby and will deliver the best value to you as the customer. Other lawn care services that you might try to hire to cut your grass will show up one week and then disappear on you the next week with the grass is tall. That's just a headache and a waste of your time and you don't have to worry about that sort of thing when hiring us to cut your grass. So if all this sounds good you go ahead and click the orange button below my biography and you can get a free lawn cutting price from us to get started and then we can work on developing our yard maintenance relationship with you to take care of your yard for you in the Bellevue or Fairview Tennessee area. Thank you and God bless. We also offer lawn care services in Hermitage TN and in Wilson County as well providing yard cutting services in Lebanon TN. I have been in the yard maintenance business almost my entire life and one thing I know for sure is cutting grass. Before I started my own lawn maintenance business serving the Bellevue area, I cut grass for one of the largest lawn maintenance companies in the entire Nashville area. While cutting grass for that lawn company I learn the ins and outs of the lawn care business and how to treat lawn mowing customers well. I apply that same methodology to how I run my lawn care business, because I believe the customer is always right. If you hire me on the GreenPal yard maintenance app for your yard in Bellevue, I will do everything I can to make sure you are satisfied with how we maintain your lawn. Whether you want just one grass cutting to get you by while you're on vacation or looking to hire a regular lawn care service to cut your grass for you every week or every two weeks we are the best fit yard maintenance business that you can hire in the Bellevue area nearby you. Also if you live outside of Bellevue in Fairview or even Dickson Tennessee we can service your yard as well. The yards in the Bellevue area and Fairview area can vary in size so our pricing will depend on the size of your yard. We have a minimum lawn cutting price of $35 per cut that includes mowing the grass, edging, weed eating, and blowing off the driveway free of any clippings and lawn debris. 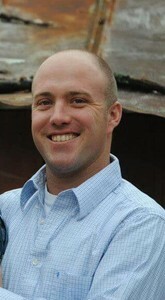 Hello there and allow me to introduce myself to you and my lawn care service in the Bellevue area. First off let me say I appreciate you wanting to learn more about my lawn mowing company. And it's a good idea to research whoever you end up selecting to do your yard maintenance and grass cutting for your number one asset, your lawn and landscaping . So many people don't take the time to do their due diligence about who they are hiring to maintain their yard and that just doesn't make sense to me. My landscape maintenance company has been in business for over 12 years. I have grown my company one satisfied yard cutting customer at a time and I take pride in the fact that we don't have to advertise our lawn care service to grow it. Sure I'm a member of the GreenPal lawn care service community because it's a great way to meet new lawn maintenance customers and it's much more convenient for me to operate my lawnmower business on GreenPal then it is the old way with pen and paper. So I'm looking forward to meeting you in your yard and I guess we both have GreenPal to thank for that. I have a few lawn cutting helpers that help me cut grass and I train each and everyone of them to do as good a job as I do mowing lawns. One of the biggest challenges in the lawnmowing business is finding good lawn maintenance help. With the recent construction boom in Bellevue Tennessee a lot of yard work laborers are getting swallowed up in construction jobs and so it's hard to find and keep good helpers if you are in the landscaping and yard maintenance business. The way I get around that is I just pay my men good. They have stuck with me for three or four lawn mowing seasons now and that's almost unheard of in the yard maintenance industry. After I cut your yard for the first time we can discuss other yard maintenance needs that you might have for your lawn. Things such as tree trimming very light tree trimming that is, landscape bed renovation with fresh mulch or fresh pine straw, and turf renovation with aerating and overseeding your turf are great ways to spruce up your yard and make it the envy of your neighbors and one of the best looking lawns in Bellevue. Personally I love taking on a yard project with my lawn care customers and turning their yard in the something beautiful while working within their yard maintenance budget. We have a saying that lawn care services are beautiful and affordable here in the Bellevue area. So if you're ready to get started click the orange button that says get free quotes and odds are I am already nearby you cutting another lawn in Bellevue and I can swing by and take care of your yard cut usually within 48 hours of when you sign up for lawn cutting quote. Thank you so much I look forward to being your lawn cutting, and yard maintenance service provider for your home this lawnmowing season. 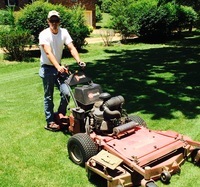 I also do lawn care services in Franklin TN and also go over to Sumner County and offer yard services in Gallatin TN. Hello and welcome to the online ordering page for lawn mowing services and yard maintenance companies in the Bellevue Tennessee area. If you live just outside of Nashville of I-40 in Bellevue and are needing to order lawn mowing services than you were the right place. My name is Gary and allow me to explain to you a little bit about how the Greenpal lawn mowing and lawn care services app works. If you wanted to order lawn cutting now online simply click the orange button at the top of your screen and you'll get started with some free lawn mowing quotes and yard maintenance price for your yard in Bellevue, TN. No matter if you live in Bellevue or Fairview GreenPal has done the hard work of finding the best lawn care professionals to take care of your yard for you, so you can order them without even making a phone call. First thing you'll get or 3 to 5 lawnmowing prices sent right to your email inbox. Included in each lawn cutting quite is lawn mowing, edging off of your sidewalks in and curbs, and blowing off all the clippings after the lawn care services done cutting your grass. Bagging of grass clippings is not included and typically double the cost should you want that done with your yard maintenance. After you get your lawn mowing quotes go ahead and read over the lawn care service reviews for their yard care services the other residents in the Bellevue Tennessee area have said about them. Rest assured all of these are real reviews for actual lawnmowings that occurred on the GreenPal lawn care system. None of the lawn cutting reviews can be faked so you can have confidence that you are making an informed hiring decision with who you select to cut your grass for your yard in Bellevue. After you pick a winning bidder for whatever price to cut your grass, the lawn care service you select will come out and mow your yard typically the next day or sometimes on the same day that you pick them. You will receive a photo of the completed lawn cutting after they are done and then you could also pay and rate their service and help out the Bellevue community by letting your neighbors in Bellevue and Fairview know how they did on your lawn care service. If that first yard service went well you can go ahead and set them up for lawnmowings and yard maintenance for the rest of the lawn season right here on the GreenPal lawn care service mobile app. You could also hire them for the yard services such as weed removal shrub pruning, re-mulching of your landscape beds, and picking up the leaves in your yard in the fall. The Bellevue area is booming that means landscape maintenance companies are busy and it's hard for them to return your phone call. GreenPal eliminates this problem by allowing you to order lawn mowing service and yard maintenance right from them with out having to leave a bunch of voicemails and waiting on prices and estimates to come back for your lawn care needs. So if you're ready get started go ahead and click the orange button and you will get free lawnmowing prices for for the lawn care service by lawn mowing companies nearny you in the Bellevue, TN. Thank you for stopping by please let me know if I may be of any assistance do you have a great day. Also if you need lawn care services in Smyrna TN or need lawn maintenance services in Lebanon TN GreenPal also services those parts of middle Tennessee as well. Bellevue is a neighborhood of Nashville roughly 13 miles southwest of the downtown area via Interstate 40. In the 1950s, Bellevue was a small community which existed primarily to serve the needs of nearby farms. It was mostly along the railroad tracks near the Harpeth River, and had only a few buildings such as a hardware store, post office, and a Masonic lodge hall. The suburbanization was made official when the United States Postal Service changed the office's designation from "Bellview, Tennessee" to a branch of the Nashville office in the late 1970s. Since the year 2000, Bellevue has grown in population and development in the established areas along Old Hickory Boulevard, Sawyer Brown Road, McCrory Lane, and Tennessee State Highway 100. Three commercial retail hotspots in the Bellevue area are near the Highway 70/I-40 interchange, at the intersection of Highway 70 and Old Hickory Boulevard; and near the intersection of Old Harding Pike and Highway 100. Bellevue's first library service was via bookmobile during World War II. The Bellevue Public Library opened in 1984 in the old woodshop/agriculture classroom building of the original Bellevue High School, built in 1931 and torn down in 1971 when the new Bellevue High School was built on the other side of Colice Jeanne Road. had lawn service but they stopped mowing lawns. easy yard to mow.